Squeezed into a coat closet with his classmates and teacher, first grader Zach Taylor can hear gunshots ringing through the halls of his school. A gunman has entered the building, taking nineteen lives and irrevocably changing the very fabric of this close-knit community. While Zach's mother pursues a quest for justice against the shooter's parents, holding them responsible for their son's actions, Zach retreats into his super-secret hideout and loses himself in a world of books and art. Armed with his newfound understanding, and with the optimism and stubbornness only a child could have, Zach sets out on a captivating journey towards healing and forgiveness, determined to help the adults in his life rediscover the universal truths of love and compassion needed to pull them through their darkest hours. 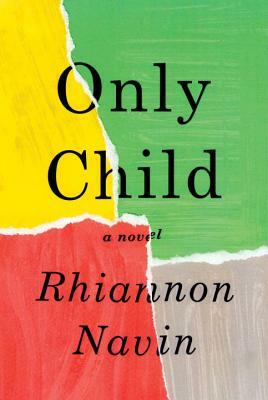 "Perfect for fans of Room, this heartbreaking but important novel offers a new perspective on trauma and reminds readers that hope can be found in even the darkest moments." —Real Simple "Five Books That Won't Disappoint"
"This hotly anticipated debut novel takes on topics both timely and tragically universal: school shootings, love, loss, forgiveness, and pain." —Glamour "All the Books We Can't Wait to Read in 2018"
"A novel with a child-narrator you can't help but love." —E. CE Miller, Bustle "19 Debut Novels Coming Out In 2018 That You Definitely Won't Want To Miss"